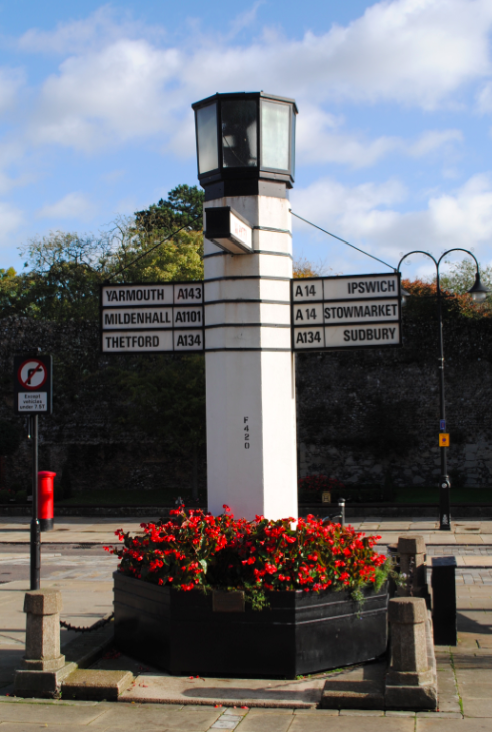 Located on Abbeygate Street on Angel Hill is the octagonal street sign known as the Pillar of Salt. street sign is internally illuminated and constructed of concrete and metal. The Pillar of Salt is Grade II listed.